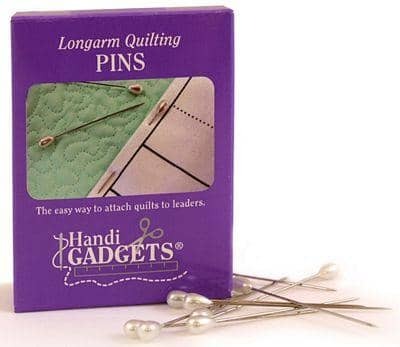 These 2 inch pins with pear sheaped heads make it easy to attach quilts to leaders. Sharp enough to pierce multiple layers of fabric and long enough to bite into quilt sandwich. Each box contains 144 pins and will last for years.